For a BPO or call centre, the business telephone system is the heart of the operations. It drives the business towards success or failure. It is one of the most important investments the business owner will ever make. Aside from trained employees, a great telephone system can help make a call centre a great success in no time. It helps the call centre connect to their clients and make revenue. The goal of any call centre phone system is to make each conversation with a customer a pleasant and productive one. Each phone conversation made to a client or made by a client to the call centre should leave him or her feeling good. They should have a positive view of the call centre and the company it represents. You don’t want angry customers on your phone and if you do have one, your job is to solve the problem and turn that anger into a positive emotion. This is why you need an excellent telephone system that works. If you want to start building a call centre, you first need to assess your needs. As with any other start-up business, you need to explore your options. You also need to list down all your requirements. First, how will you use the phone system? Is it for outgoing calls, incoming calls or both? Are you starting from scratch or do you already have existing infrastructure which you can integrate your new phone system into? If you do have existing hardware, will it be able to accommodate your new system? How about your future requirements? Will your existing infrastructure be able to handle them? After listing down your needs, you can now look into the different types of phone systems. What kind of call centre system would you like to set up? Will you be using a traditional phone system or a VoIP? Most call centres use a VoIP system. 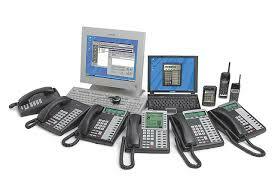 If you are not familiar with it, VoIP uses the Internet to transmit voice as data packets. It bypasses traditional phone lines. It has many advantages and benefits. One advantage is cost. If your business routinely makes international calls, you can benefit from a VoIP system. Aside from cost savings, a VoIP system allows your agents to work remotely. They can log into your network from anywhere as long as they have a good Internet connection. You can even just create a whole department with virtual employees with this kind of system. With traditional phone systems, you won’t be able to do this. This setup is ideal if you need all your agents in one place. An analogue system is cheap to set up but phone charges can be expensive especially for international calls. Here are two industry leaders that provide great phone systems for call centres. They offer a range of high-quality products and services. You can set up your call centre right away and run it efficiently. Avaya is a leading provider of next-generation communication business solutions around the world. They provide unified communications, contact centers, real-time video collaboration and other related services to companies of all sizes. They help their customers by making sure they get what they are looking for when they need it; improving efficiencies and problem soving. Their objective is to give their clients the best experience, regardless of the location, devices or media they choose. The brand is a favourite among call centres in the UK. They have different products and services to suit the specific needs of different call centres. One of the key features of their platform is the automatic call distribution application. This allows managers to decide which agent gets assigned an incoming call. This gives your company a personalised approach to handling customer concerns. Another useful feature is the automated call-back system. You can use this when agents cannot answer incoming calls straight away. The unified service environment integrates web, phone and social media applications to manage your agents’ workflow. Shoretel leverages the power of the Internet to create an IP Telephony Platform that is reliable and flexible apart from deployable, easy to manage and use. You can use their solutions whether for upgrading to a unified communications, replace your old system or modernise your call centre. You can count on their plug-and-play systems to help you with productivity and efficiency. Like Avaya, Shoretel also delivers solutions for all types of businesses and call centre whether they be big or small. Their call centre phone system is designed to make the most of IP technology. Their platforms can be integrated into your existing CRM or customer relationship management software. You can also integrate it with other business applications so you can save time and costs on reporting and monitoring. Your agents can easily access customer information when they need it. As a business owner, you need to consider several factors when choosing your phone system provider. Cost and quality are your top considerations. It is no secret that client expectations are very high so your call centre needs a highly reliable system that can quickly respond to their demands. You need a sophisticated system that can handle present and future requirements.